Lowry was born in Newquay in 1987 but escaped the attentions of his local professional club, instead joining Chesterfield in 2003 after his grandfather, a Chesterfield resident, recommended him for a trial. In 2006, after completing his scholarship and impressing for the youth team, he was offered a two-year professional contract. He made his full debut during the 2006-07 campaign, and over the following two seasons became an established member of the first team. Early in his career Lowry played at right-back, or as a right-sided midfielder, but later moved into a central midfield position. In October 2009 he suffered a cruciate knee ligament injury and spent 16 months on the sidelines. Unable to force his way back into the Spireites side, he moved on loan to Crewe Alexandra in November 2011, and made ten appearances in a two-month spell, before being recalled to the B2net Stadium. 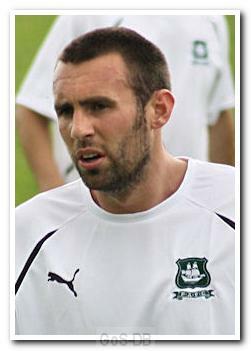 Lowry was released by John Sheridan at Chesterfield at the end of the 2011-12 campaign, having played more than 120 times for the club, scoring 11 goals, and signed for Argyle in July 2012, following a short trial. Unfortunately, Lowry's Home Park career got off to a bad start when he suffered ankle ligament damage in a pre-season friendly at Truro City, so missing the start of the new season. He returned to action in October but failed to make a lasting impression, and suffered the ignominy of again being released by Sheridan at the end of an injury-hit season. Lowry wanted to stay in the region and had a brief spell with Southern League Division One club Tiverton Town, followed by a short stay with South West Peninsula League club Godolphin Atlantic, based in his hometown of Newquay, where he scored twice on his debut and was sent off in his second game. 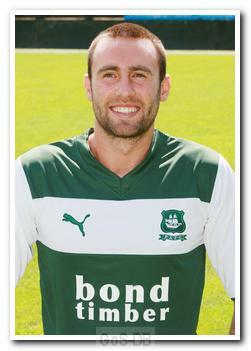 He then signed for Southern Premier side Truro City in September 2013 as he neared full fitness and went on to play 42 times, scoring twice, across 2013 and 2014. He left Treyew Road for personal reasons in November 2014, just over a month after becoming Head of Youth Development at his former club Godolphin Atlantic, for whom he was still playing in the 2014-15 season.